Deer in Granton & other wildlife. 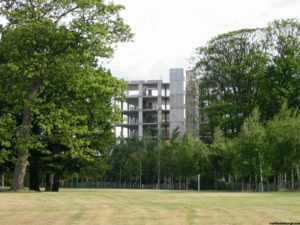 Yesterday I saw a small brown deer at site of some demolished flats near the National Museum storage building near site of old gasworks in Granton. It was 8.30am. But a footpath link through new housing has been opened off Marine Drive. I saw last week the swan with 2 grey fluffy babies swans, on the Water of Leith. I quite often see one of at least 2 Grey Herons at various places on the Water of Leith. 2 Responses to Deer in Granton & other wildlife. That is indeed a shame . I am guessing article in Evening News rather than this blog, spread word. Now that issue has bolted; let’s confront it in open, lets us deal with those that breed & train dogs to fight, injure & kill. Efforts have been made to deter carrying of knives, I have been disturbed by dogs seemly used as weapons. Is there a broader link? Good luck with keeping the deer & others safe.